I haven’t seen a good werewolf movie in a long time. Werewolf: The Beast Among Us stars Ed Quinn, Steven Bauer, Stephen Rea, and Nia Peeples. It’s a great werewolf movie to watch. It has all the basic characters for a horror movie like gypsies, a vampire, werewolf hunters who are called (the beast hunters), and of course the werewolf who is terrorizing a small village. There are two villagers who know the secret identity of the werewolf. In the beginning the movie was a bit puzzling, but towards the end, everything came together with a surprising twist. 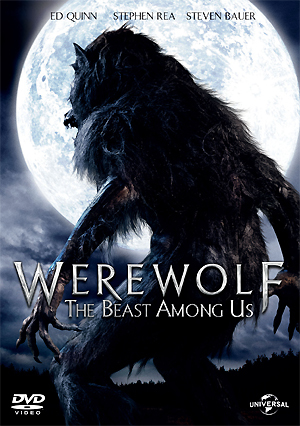 Werewolf: The Beast Among Us arrived on Blu-ray and DVD on October 9, 2012. There are both rated and unrated versions. The unrated version has a lot more gore and some extra scenes. The bonus features include a look ‘behind the scenes’ with special effects, and interviews with the cast and crew. Comments for Werewolf: The Beast Among Us are now closed.